Indiana Suspends Ban On Needle Exchanges To Combat HIV Outbreak : The Two-Way The state's governor says he would temporarily OK a program in one county after dozens of new infections were reported stemming from the injection of the prescription drug Opana. Schedule 2 narcotics Morphine Sulfate, OxyContin and Opana. Liquefied as an injectable, Opana has been connected to a major abuse problem in rural southern Indiana. Hoping to reverse a steep increase in HIV infections in southern Indiana, Gov. Mike Pence has temporarily suspended state law and his own anti-drug policies to implement a short-term needle exchange program for addicts. "Pence issued the order on Thursday, after meeting with Scott County health officials yesterday. "The governor has said he opposes clean needle exchanges as a drug addiction-fighting strategy, but is making an exception in the case of Scott County, where the number of [confirmed HIV] cases has now grown to 79 since the outbreak was first identified" in December. The Associated Press says that "such programs are illegal in Indiana, and Pence has opposed needle exchanges as part of drug-control efforts. But his order allows Scott County officials to request state approval for a limited, short-term program. In its report, WFYI says: "In addition to authorizing Scott County public health officials to establish a needle exchange program, the governor also ordered the Indiana State Department of Health to set up an incident command center to coordinate HIV treatment and substance abuse treatment, and requires state and local health, law enforcement and emergency response agencies, as well as health-care providers and hospitals to cooperate and assist in disaster response." Earlier this month, The Indianapolis Star wrote that the addiction problem extended to neighboring Clark, Jackson and Washington counties, as well as nearby Perry — all near the Kentucky border. The newspaper says almost all of the HIV cases "are connected to injection of the powerful painkiller Opana, although some involved have said that sexual transmission of the virus also may have played a role, according to the Indiana State Department of Health." Three years ago, Erica Peterson of member station WFPL in Louisville, Ky., reported on the problem in Scott County: "Some pill abusers buy the drugs on the street or steal them. 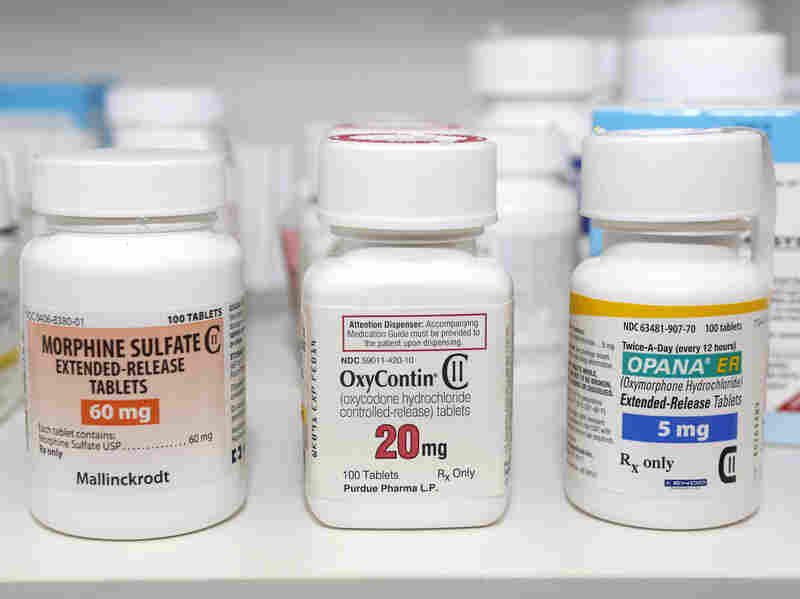 Others have legitimate prescriptions, and some get hooked on the pills while using them to treat chronic pain." In the same year, a Reuters report noted that "rural residents are nearly twice as likely to overdose on pills than people in big cities," and that Opana was the "hot new prescription drug of abuse" in places such as southern Indiana.